Business Owners | Rehoboth Beach, DE | Wilmington, DE | Williams Insurance Agency, Inc. 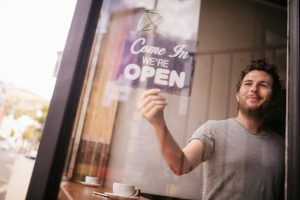 If you own a business in Delaware, contact The Williams Insurance Agency, Inc. for a free consultation to discuss your current insurance coverage, the liabilities that your business is responsible for providing security against, and any deficiencies present. We offer essential to comprehensive coverage to meet all of your needs through our partnerships with the nation’s most trusted and well-respected insurance companies. If you prefer, we also provide separate “a-la-cart” business insurance products to allow you to customize your business insurance to address perils specific to your commercial activities. Typically, business coverage is portable and covers your business equipment both on and off-site. Improvements to rented property may also be covered, as well as accidental damage, losses due to forgery, and interruption of business operations as a result of a covered loss. The precise coverage required depends on many factors, including how many tenants are involved, the degree of hazard present, and many other factors. The licensed insurance agents at the Williams Insurance Agency, Inc. are available to present your business coverage options in person or during a phone consultation. We have served the insurance needs of businesses throughout the Delmarva region since 1948 and continue to offer professional advice and courteous customer service. Making your business succeed is our pleasure. Contact our office in Rehoboth Beach, Delaware, at 302-227-2501 or in Wilmington, Delaware, at 302-239-5500.